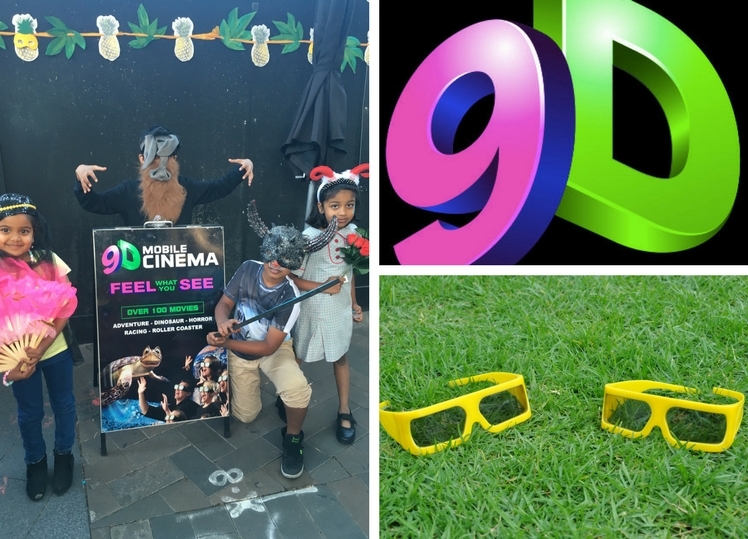 Everyone seen 3D movies in cinemas, maybe even had a 4D movie experience at Sydney Tower or heard of 9D Action Cinema at Sydney Darling Harbour. 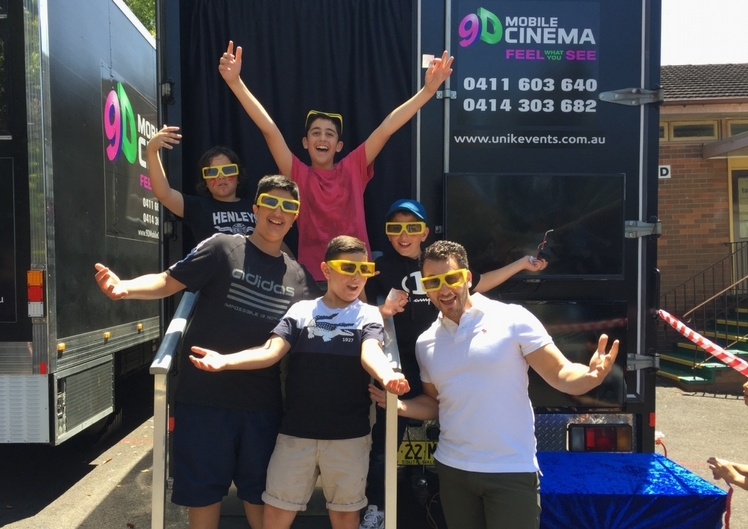 NOW WE BRING YOU - 9D MOBILE CINEMA – SYDNEY’S BEST AMUSEMENT RIDE ! 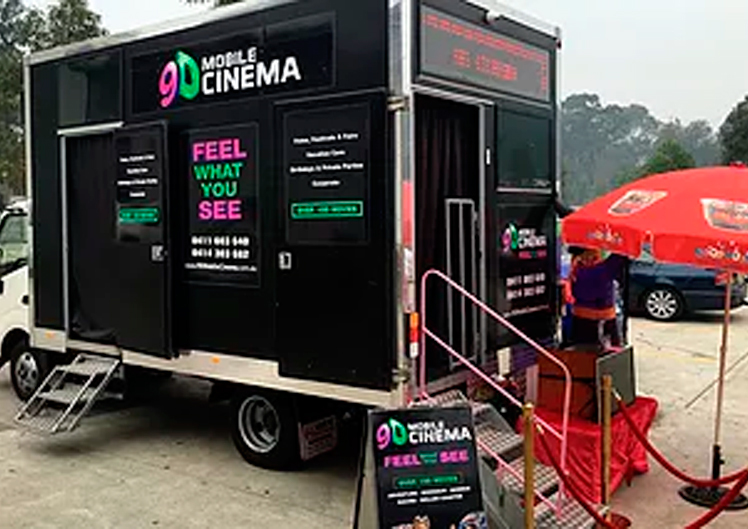 9D Mobile Cinema is a cinema truck that Comes to You. 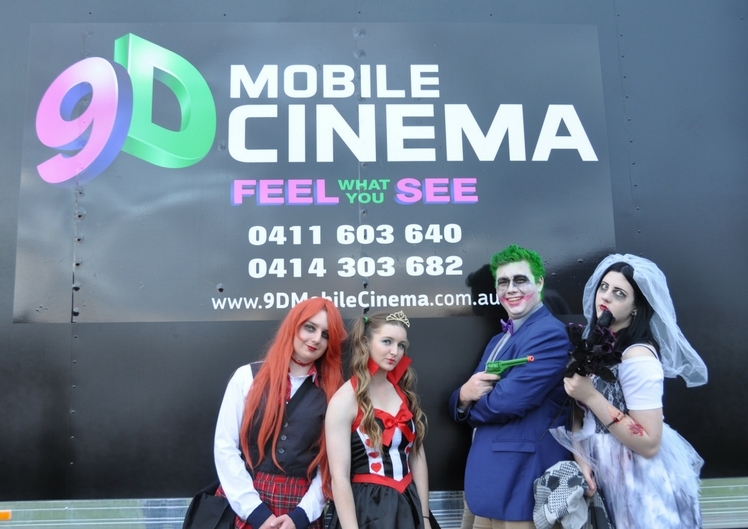 With over 150 short movies, 9D Mobile Cinema is the best interactive, amusement ride in Sydney. 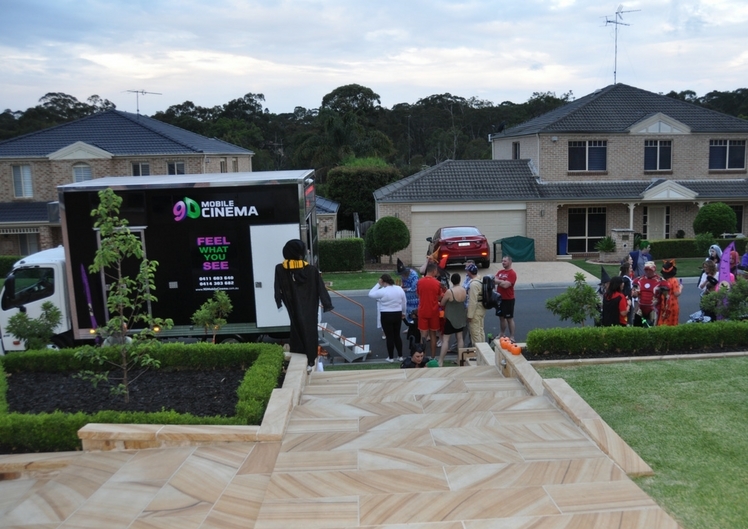 It turns the magic of short movies into reality. 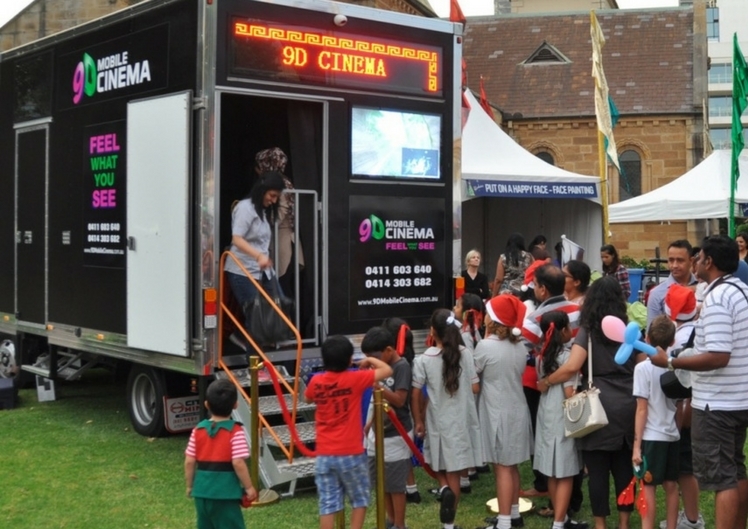 9D Mobile Cinema boasts the latest technology of Multi - Dimensional entertainment. 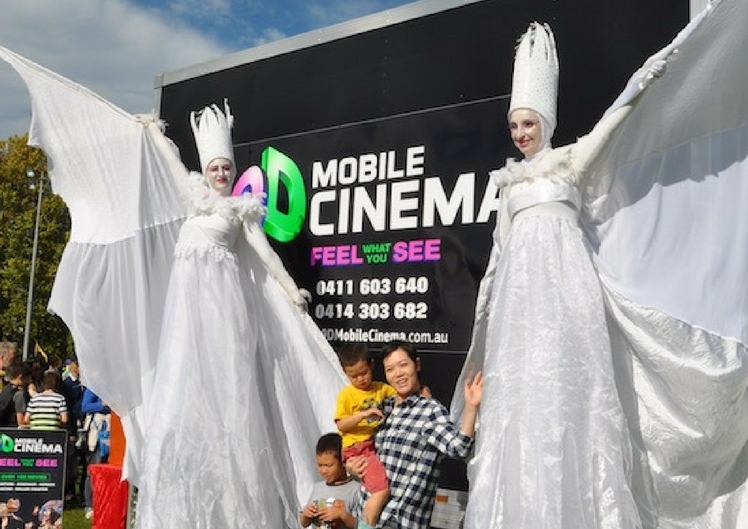 It combines Augmented Reality (AR) and Mobile Virtual Reality (VR) into an awesome experience. 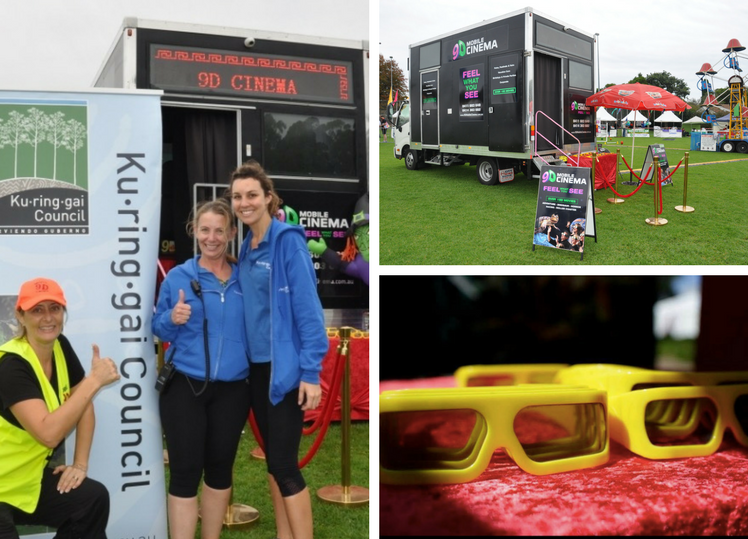 As you buckle up into Ferrari style seats inside the cinema truck and put on your 3D glasses, the action begins. 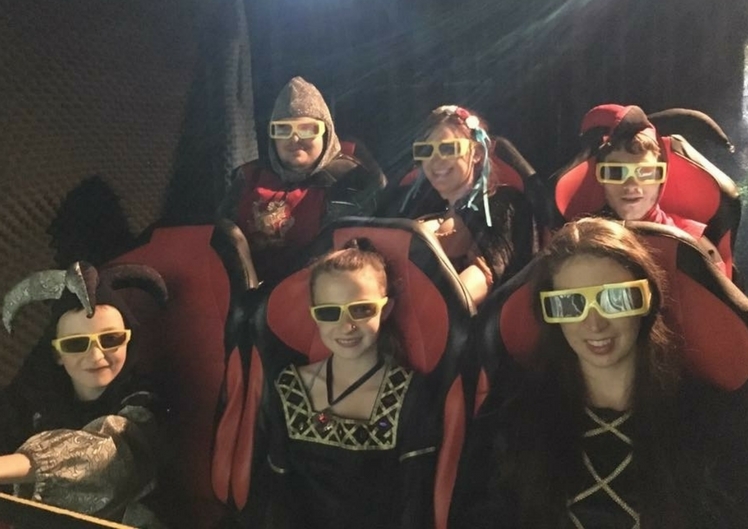 Watching 3D movies with synchronised movement you are surrounded with astounding sound and encounter a frenzy of sensations. 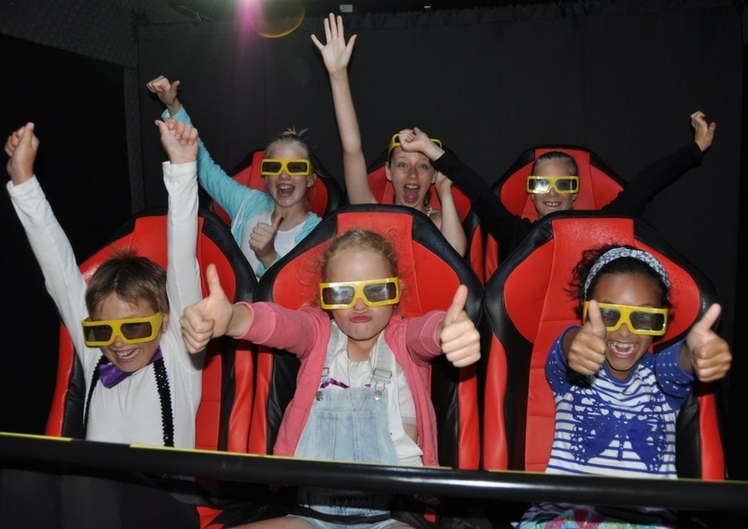 Hold on to your seats as it shakes, rotates, turns and vibrates. 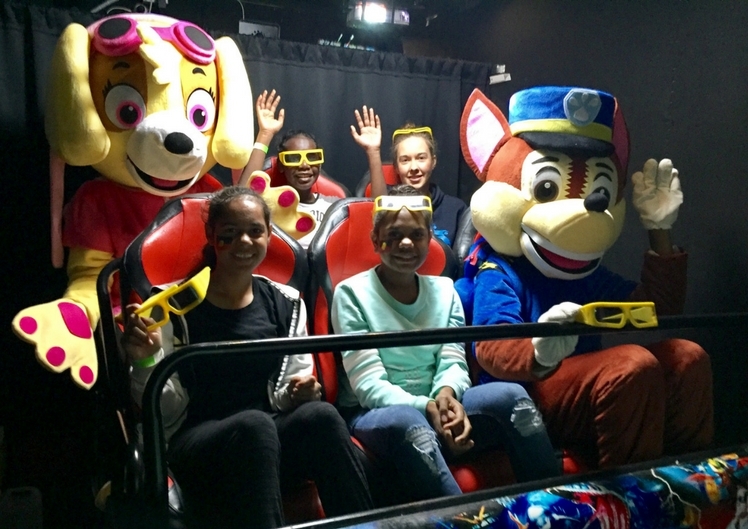 All the meanwhile the ultimate, fun ride experience takes you into haunted tunnels, fantasy lands or along amazing roller-coaster ride. Sense the Wind in your hair as you free fall into a gigantic, inflatable jumping castle. Feel the Rain drizzle on your skin while trying to escape the sea monsters. Catch Snow as you ski down the slopes in a wonderland or pop bubbles like balloons falling from the sky at a kid’s birthday party. 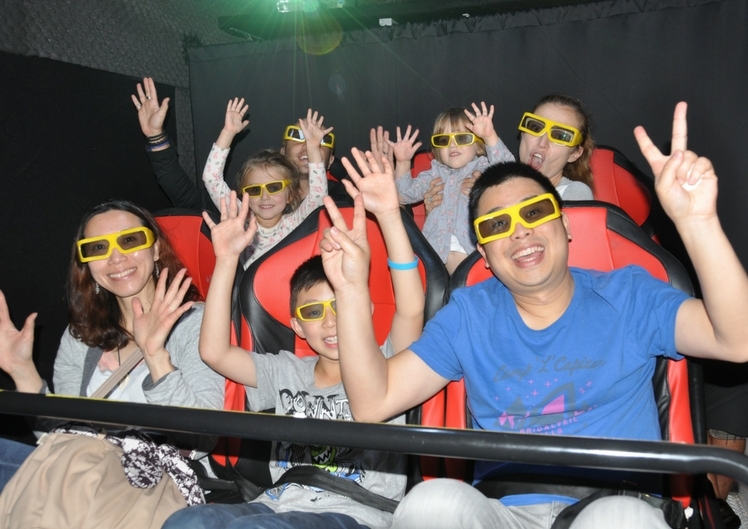 These and many other incredible special effects can be experienced as you go on a Ride of your Life. 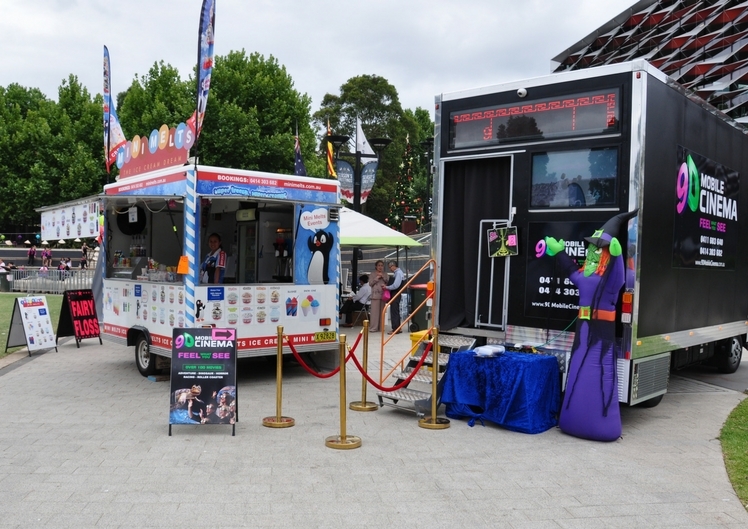 There are many birthday party and event entertainment ideas. 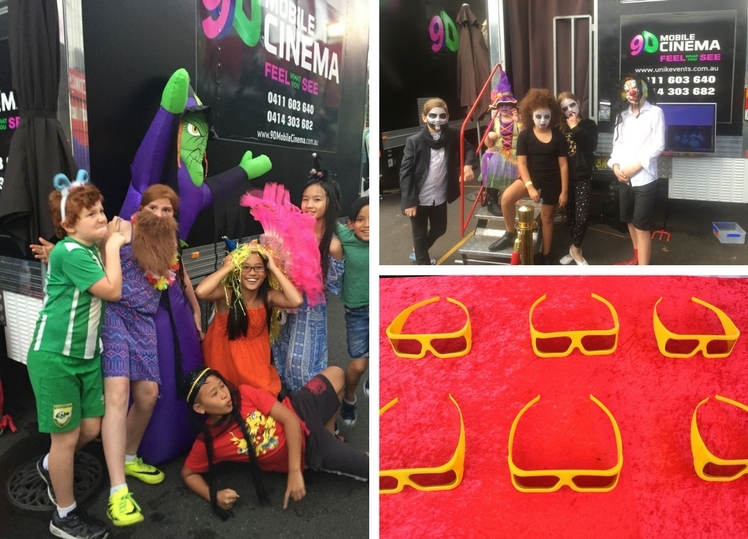 Jumping castles, clowns and face painting are ok. Laser tag and games2u are fun, but with 9D Mobile Cinema your party, carnival or area activation is guaranteed to be Epic. 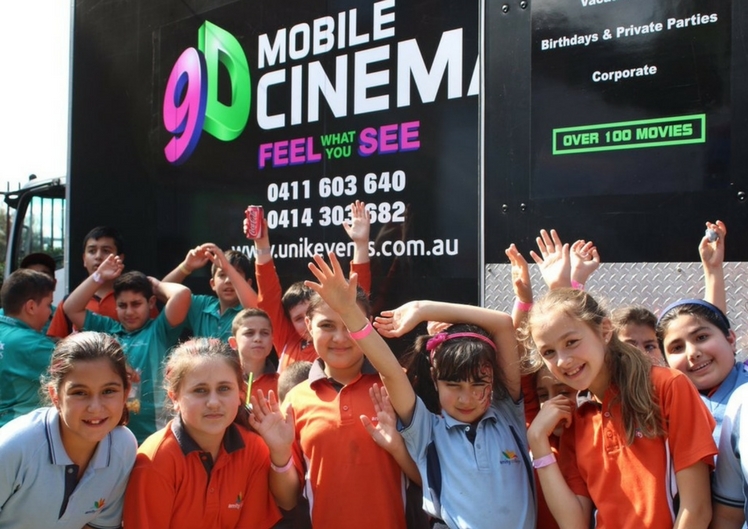 9D Mobile interactive cinema is perfect entertainment for young children and older kids, teenagers and adults alike. 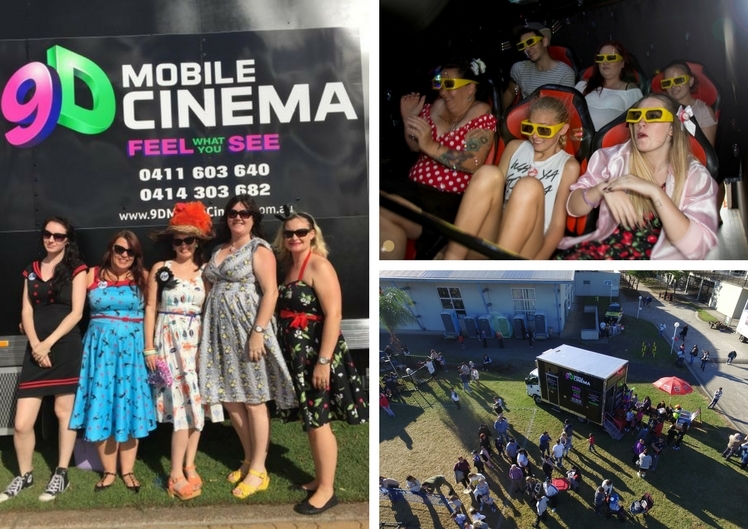 9D Mobile Cinema is perfect for the Corporate events either for a Product Launch or Family Fun Day, a Christmas party or a Marketing Opportunity. 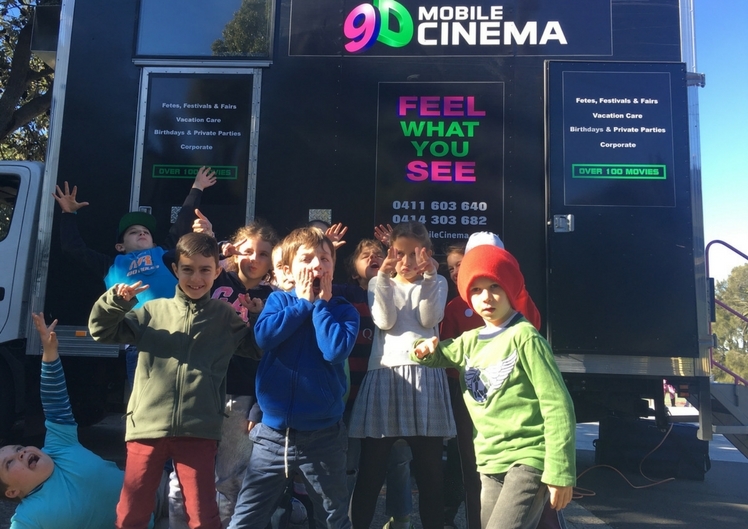 9D Mobile Cinema is a professional service that has been working with schools, vacation care incursions and OOSH centres all over Sydney and NSW. 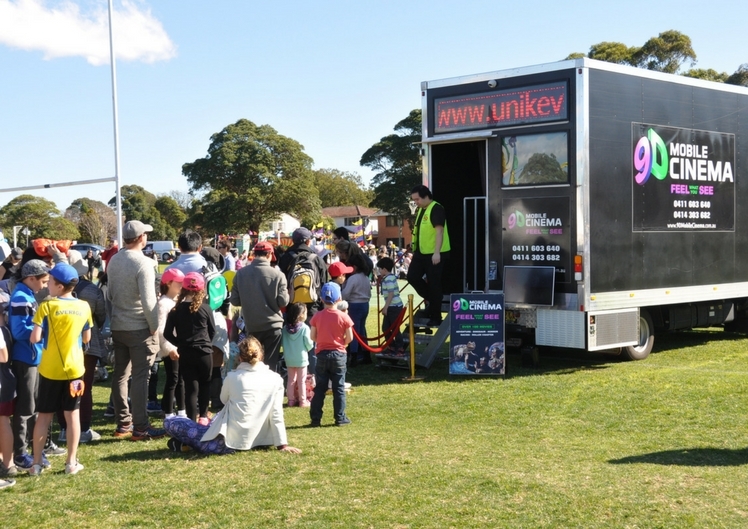 We specialise in working with sporting organisations, community and school fundraising events. 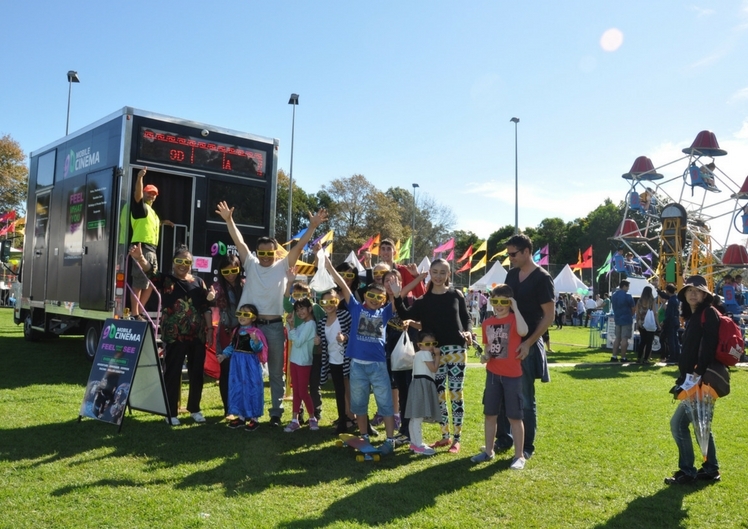 We work together with the P & F or the P&C committees to make Fete, Festivals or Fairs unique, profitable and exciting. FEEL WHAT YOU SEE and MAKE YOUR EXPERIENCE EPIC !! 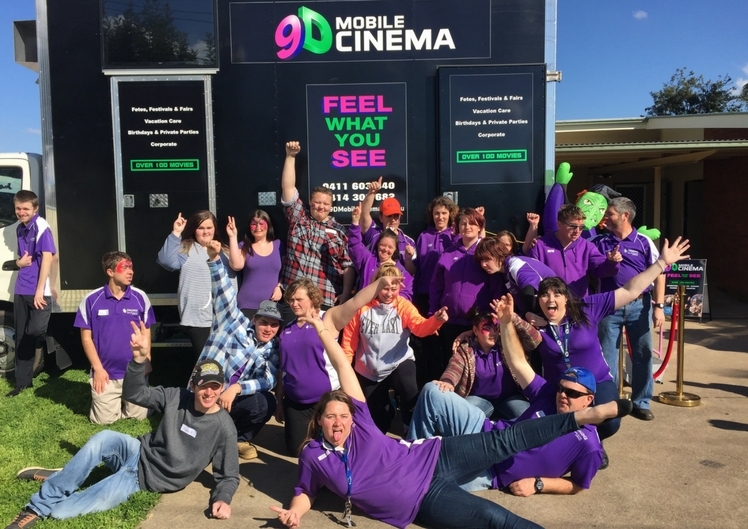 What is 9D Mobile Cinema? 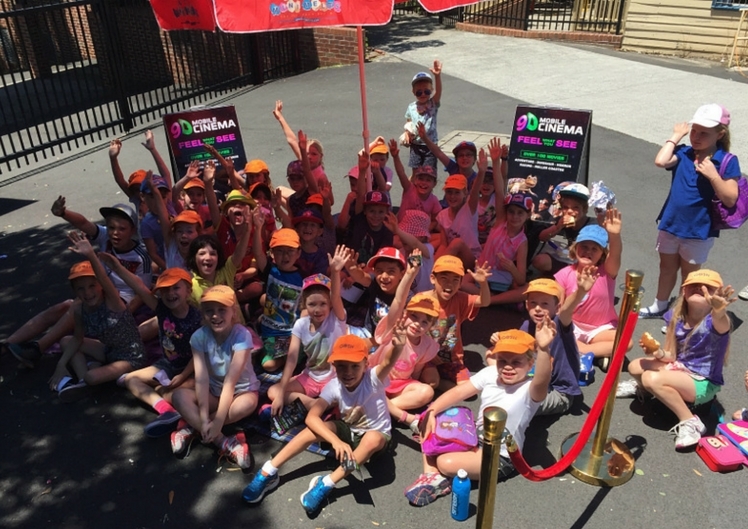 COLLABORATIVE SPONSORSHIP - EVERYBODY WINS! 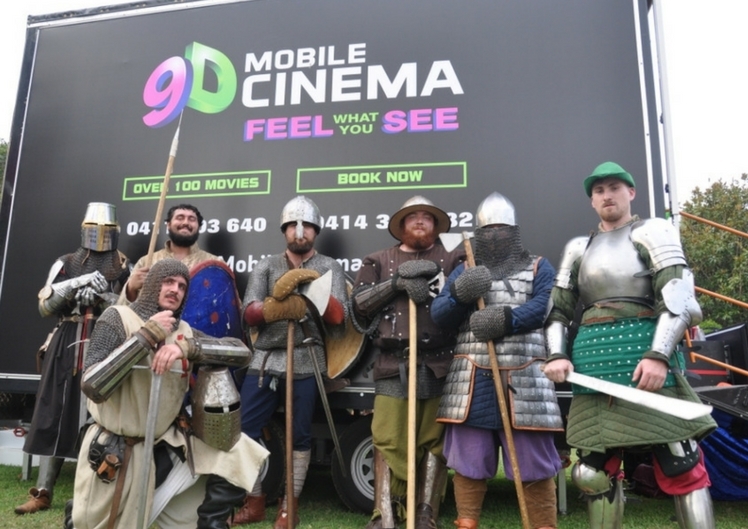 ADD “WOW” FACTOR TO YOUR EVENT WITH 9D MOBILE CINEMA !!! 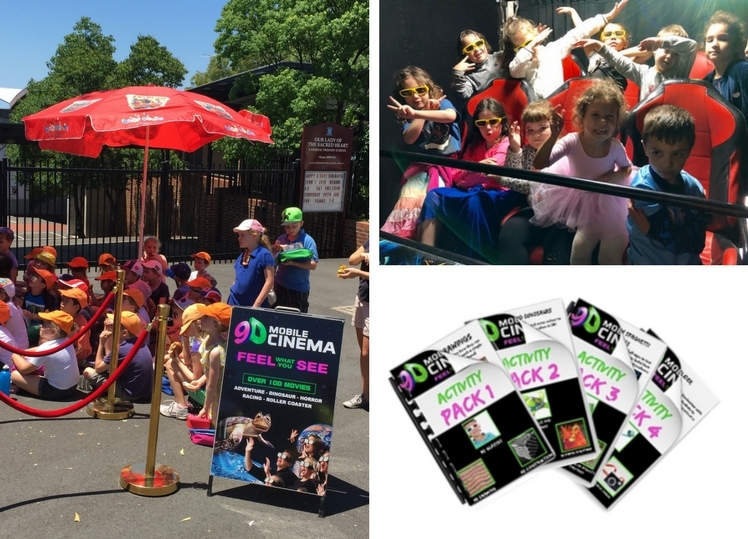 Epic Multi-Sensory experience for all ages. 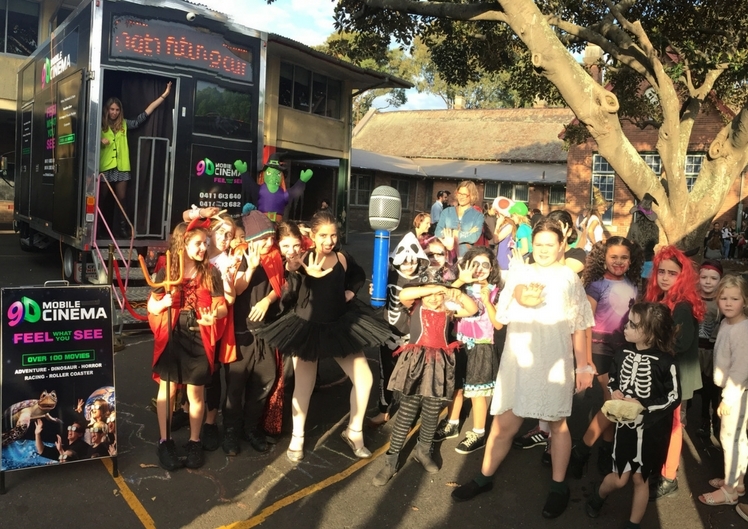 EPIC 21 CENTURY INCURSION !!! *We remind you that your personal data may be included in a file owned by the trademark being treated in accordance with regulatory data protection regulations for the purpose of marketing, promotion and marketing of products or services and to communicate events To be organized. You may exercise your rights of access, rectification, cancellation and opposition, in the terms set forth in the Organic Law of Personal Data Protection, addressing the Department of Customer Service in Australia by any method allow to accredit the sending and reception of the request or through this webpage. 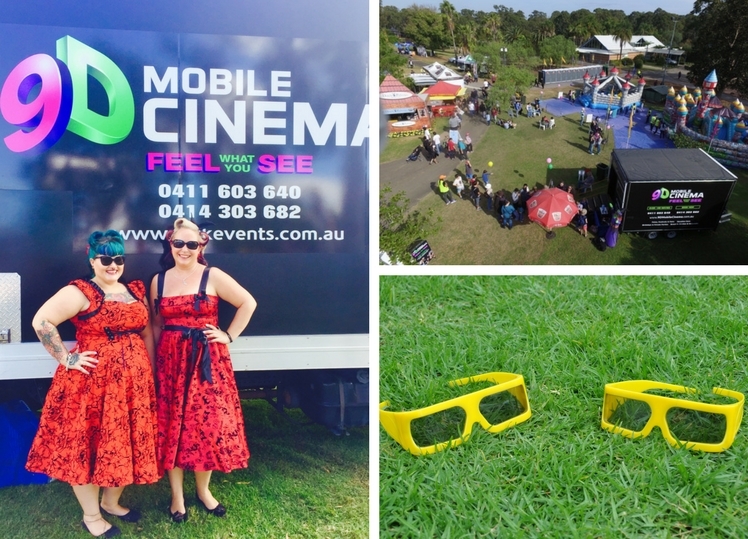 Some of our services: 7D Interactive Cinema in Magenta, party catering in Hamlyn Terrace, party food in Randwick, Mr Whippy in Ravensdale, Event organiser in Halekulani, V8 Racing in Parramatta, karaoke hire in Pearl Beach, darling harbour movies in Lake Munmorah, party balloons in Woy Woy Bay, kids day out in Palmdale, and much more.